Finally, this time of year has returned. Harvest 2010 (Found on Twitter as #Harvest10 feed) is in full swing and tonight many people will be celebrating with the Harvest Moon. 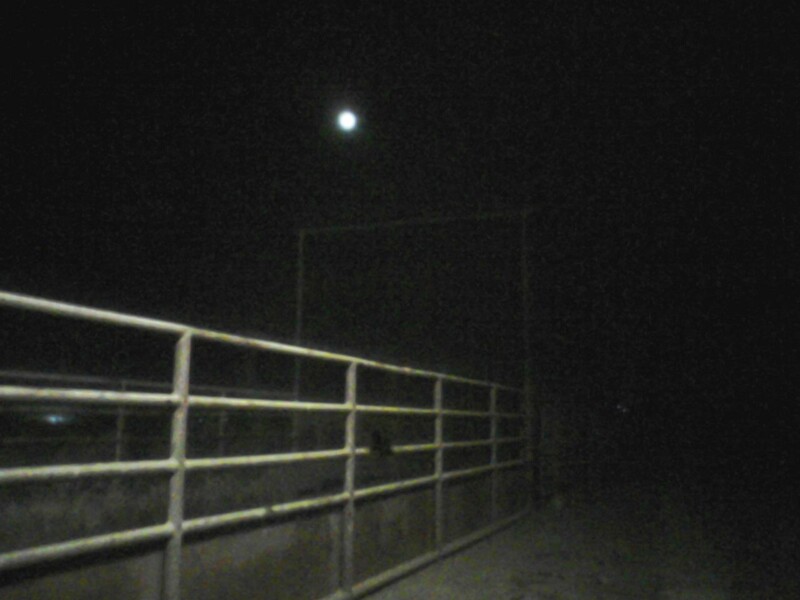 The moon here is hiding behind a thin layer of clouds as I work the scales for a 3:30 AM shipping in the feedyard. The Harvest Moon is designated as the Full Moon phase that occurs closest to the start of Fall, both of which happen tonight. The Harvest Moon got its name because it was said the bright moon rising soon after sunset, gave farmers more light to extend their day’s harvest. A full moon tends to rise earlier in the evening leaving less time between sunset and moon rise. When a full moon rises above the horizon it will appear larger and red because of the particles close to the Earth’s surface in the atmosphere. I love to watch the moon rise because it is so large in the sky. I remember watching the moon rise one particular night in Wyoming and it was so large and bright I could do nothing but watch in awe. Of course, this was one of the few times I did not have my camera. 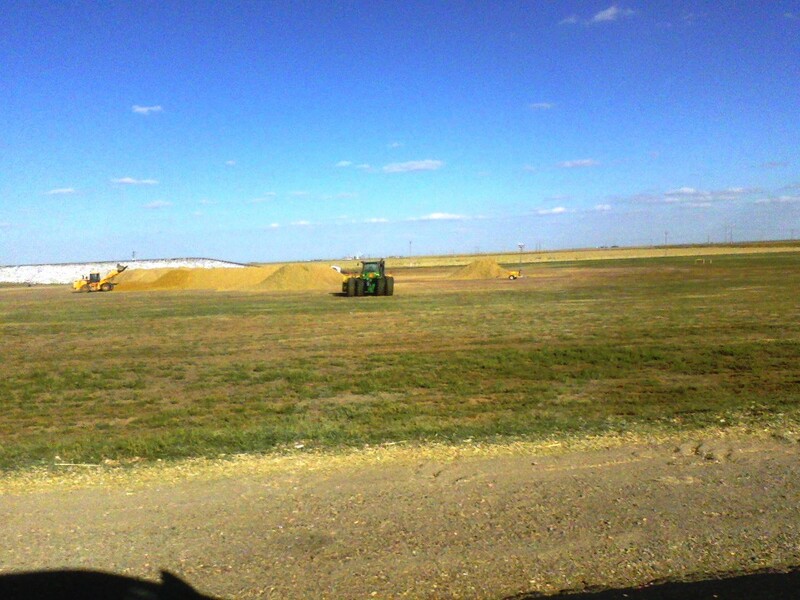 This stock piled feed in the feedyard is batched with freshly harvested corn from local farmers. Many farmers are in the fields working this year’s harvest. Moving from South to North many harvest crews are working hard to aide in this. Everything from corn, sorghum, soybeans, cotton, and so much more is or soon will be harvested this time of year. If you are on the farm, what crops are you working to bring out of the fields? If you find yourself in town, think of things you use daily made from crops harvested in the fall. Meet with farmers and ranchers and share your photos and stories from this year’s harvest at the I am Agriculture Proud Facebook group. Next No Steak for Cattle Feeders?